TORONTO, August 2, 2018 – Popular Canadian accounting app Hubdoc has been acquired by accounting software giant Xero in a deal worth $US70 million. The Toronto-based maker of document collection and management software was recently reported by K2E Canada as the premier accounting software application used by small and medium-sized accounting firms and bookkeepers in Canada. Xero has taken a big step towards building their base in Canada, according to accounting technology analyst Alan Salmon, the Canadian founder of K2E. "The acquisition will be good for Canadian accounting firms. Competition leads to increased creativity in the marketplace." Salmon notes that Xero has also significantly increased its Canadian staff. The New Zealand-based company officially launched its cloud accounting software platform in Canada in May 2018. Xero, which entered an accounting market dominated by Intuit QuickBooks and Sage, announced a partnership with “ctrl by Deloitte,” a cloud-based financial collaboration platform, which also partners with QuickBooks Online, Receipt Bank and Hubdoc. "The acquisition also means we expand our presence in Canada, where we just launched in May, and establish Xero as an employer of choice for tech talent in Toronto, along with growing our teams in Australia and the UK where Hubdoc has a presence," said Xero chief executive Steve Vamos in an interview with Australia’s Financial Review. While Hubdoc will continue to operate on a stand-alone basis, the acquisition promises to make Xero a more compelling option, as the two companies and their platforms seek further integration. Hubdoc will continue to be led by co-founders Jamie Shulman and Jamie McDonald, who will report to Keri Gohman, president of Xero Americas. "Over the past four years, Hubdoc has built an industry-changing product, a passionate following of customer advocates and a reputation for authentic, human service," said Shulman. "What is exciting about this transaction is the opportunity to deeply partner with Xero to rewire the global small business economy." “Like Xero, we believe that the underlying foundation of any great company is deep customer and employee focus,” said McDonald. “Our two north stars at Hubdoc are to create amazing customer experiences that people tell their friends about and amazing professional experiences that employees take with them throughout their careers. In the 2018 Accounting Operations and Technology survey from K2E Canada, Hubdoc showed a remarkable market penetration among Canadian accountants and bookkeepers, who often create multiple client accounts. "Once a bookkeeper uses Hubdoc, he or she typically wants to get all their clients using it,” explained Shulman in a past interview. Seventeen per cent of SME accounting firms use Hubdoc, and double that percentage among bookkeepers, who have adopted app usage faster than accounting firms. Just 4.6 per cent of management accountants are using Hubdoc, according to the survey, but of those using accounting-related apps, an astounding 42 per cent are using Hubdoc. Hubdoc uses cloud computing and machine learning to automatically collect and analyze business documents for financial reporting, reconciliation and audit proofing. According to Vamos, the acquisition aligns with the long-term plan of Xero to be a leader in “code-free accounting,” meaning software that automates accounting processes so accountants can free themselves from mundane tasks. Salmon points out that Xero's presence in Canada is well behind the market leaders. "Based on the results of the 2018 Canadian Accounting Operations and Technology survey, 6.8 per cent of accounting firm clients use Xero, while 32 per cent use QuickBooks Online," says Salmon. "However, a significant percentage of the Hubdoc base is QBO advisers and their clients." Hubdoc has done well on its own in Canada. "My crystal ball indicates that there will be no change in Hubdoc’s strategy," says Salmon. "They cannot afford to alienate their major client base. However, Xero will get access to Hubdoc’s Intuit client list, which could be a key payback from the acquisition." The deal is similar to that of the 2017 acquisition by Intuit of Tsheets, a time tracking and scheduling application, in its acquisition of a popular app by an established accounting software company. "Looking farther down the road," says Salmon, "I could see Xero building in some of the features in Hubdoc to their solution. This would follow what Intuit is doing with QBO and QuickBooks tax." 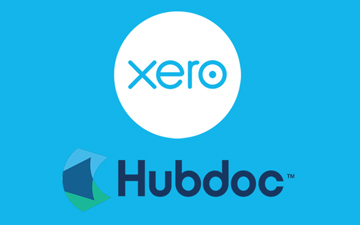 Xero will acquire Hubdoc in two stages. A first stage buyout of $60 million, comprising 35 per cent in cash and 65 per cent in Xero equity, and a second stage of $10 million in equity issued to shareholders of Hubdoc.